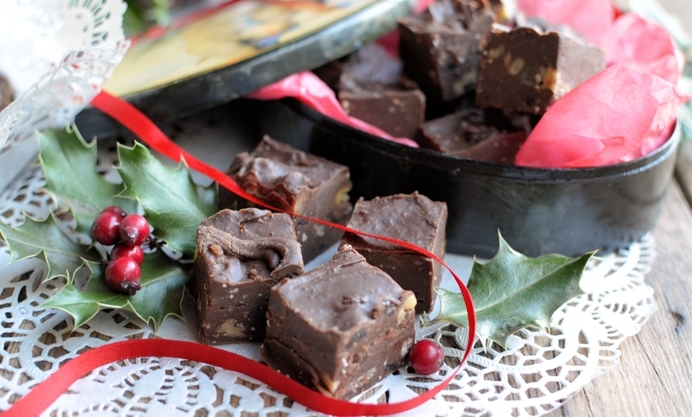 One of the most easy Christmas recipes to make as a lovely gift is fudge. Right now, we're delighted to share Karen's recipe for a truly festive fudge that will keep for up to 2 weeks in a cool place. Follow our how to make fudge guide to discover how you can make the perfect fudge yourself at home. Christmas is only a couple of weeks away now and preparations have reached fever pitch in my kitchen with every available hour being devoted to prepping vegetables, making mince pies and mincemeat, as well as cakes, puddings and Christmas hamper gifts. I’ve made ice cream, savoury pies and our favourite seasonal vegetable accompaniment, Spiced Red Cabbage as well as chutney and liqueurs……it’s certainly all go in the Christmas kitchen! Its sweets and candy that I am turning my attention to now however, as I always like to make a batch of chocolate truffles and fudge for my Christmas gift giving and my good hampers. Chocolate truffles are always welcome additions to any food lovers hamper, as are home-made sweeties such as tablet, coconut ice, rocky road slices, fruit pastilles and of course that most popular of holiday sweets, fudge – beloved of all gift shops wherever you go. My recipe today is a very easy “no-cook” fudge recipe, insofar that all you have to do is melt the ingredients and not boil to “the soft ball” stage, which needs a sugar thermometer and lots of time and patience. You simply melt the chocolate with a tin of condensed milk and some butter before adding some icing sugar and your chosen added ingredients, which in this case, is Christmas cake, icing, marzipan and all. 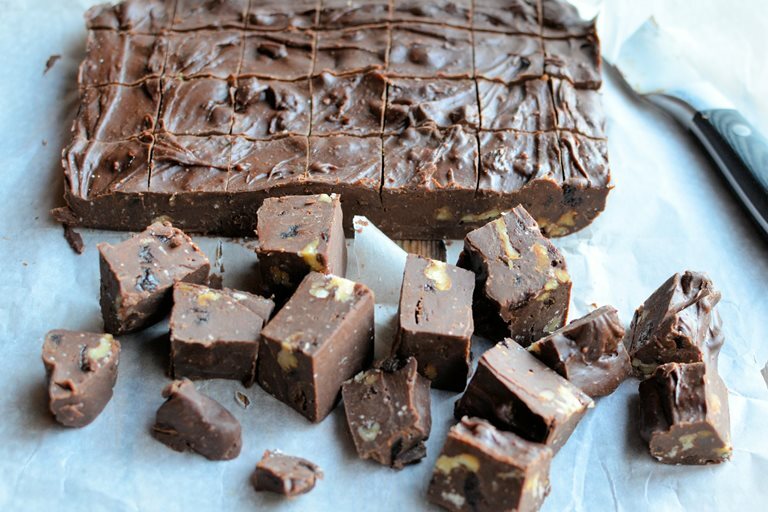 It’s that easy, and you are rewarded with fabulously creamy fudge, which is easy to cut into squares for portion control. This Easy “No-Cook” Christmas Cake Chocolate Fudge uses left-over Christmas cake as well as nuts; in fact anything fruity can be added that you may have to hand, such as Christmas pudding or mince pies. I crumbled the marzipan and icing and added it along with the fruit cake crumbs, and the result was a lovely crunchy, almond taste and texture when eating the fudge. 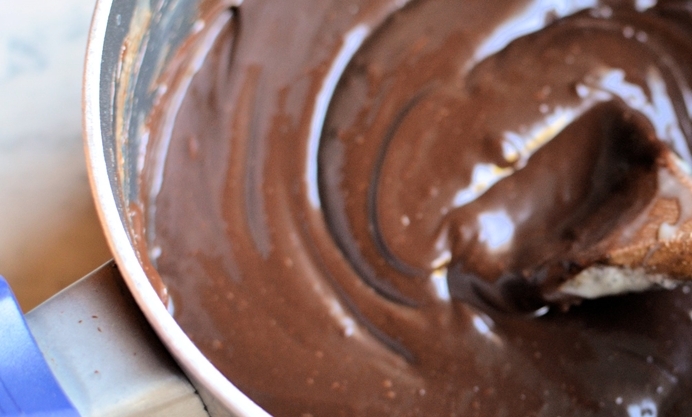 I managed to make 36 thick, chunky pieces of fudge with this recipe, with a few odds and ends from the edge, essential for testing and for the cook! This fudge will keep for up to 2 weeks at least in a cool place and the recipe makes enough pieces for at least 6 gifts – simply pop the fudge into small cellophane bags, glass jars or decorative boxes and/or tins for a thoughtful home-made gift this Christmas. Add a label, ribbon and some festive decorations and your work is done. If you really want to push the boat out, then add a slug of brandy or cherry brandy to the fudge mixture for a boozy extra, for the grown-ups only of course. 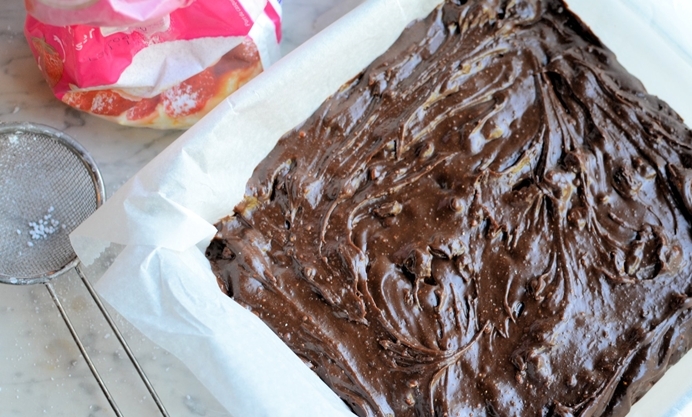 If you don’t have any left-over cake to use, and then just add some dried mixed fruit and nuts, the fudge will still be delicious and a welcome gift for any foodie friend! 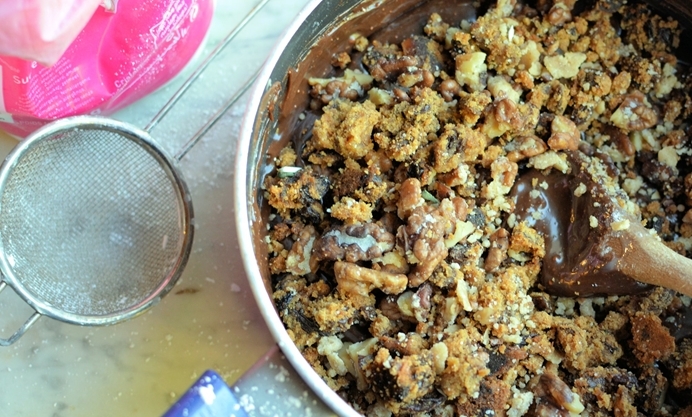 I hope you enjoy this recipe if you make it, and have a very Merry Christmas!